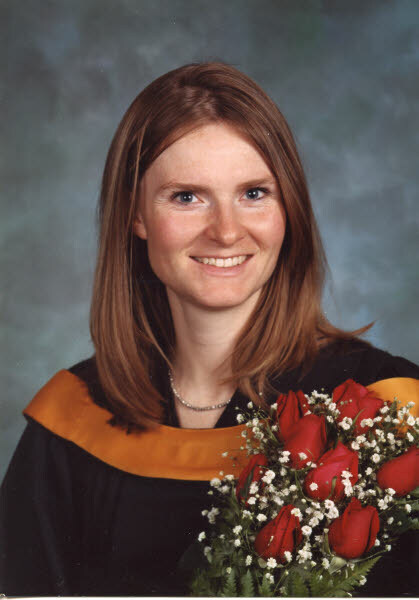 Andrea Lee Cochrane was born February 19, 1979 – a joyous addition to our family. Andrea was a content baby who laughed and smiled with ease, observing about the world around her with serious attention or with a “Mona Lisa-like” smile on her face. 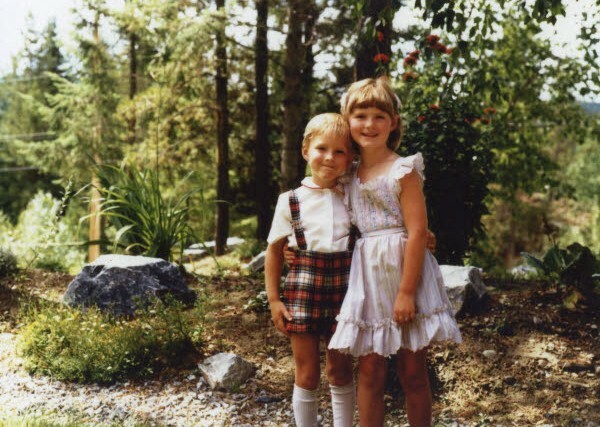 Seventeen and a half months later, her brother Sean was also joyously welcomed and Andrea enjoyed being a ”big sister.” Many pictures of them together show her holding his hand or wrapping her arm around his neck – Sean didn’t seem to mind at all! Andrea loved stories being read to her and she could read independently by 4 years of age. She would come into our bedroom very early in the morning, asking if she could read us a story…of course we said yes!! Then I noticed that her bangs were much shorter and cut on an angle. I asked her what happened to her bangs, and she said, “Well, my dolly needed hair so I gave it some of mine!” Naturally, the next day at preschool was picture day and we have that memorable picture of her in the photo album! Andrea loved school and excelled at it. She and her brother were both enrolled in the Programme Cadre de Francais and it was really fun for us to watch the both of them learning a second language, soaking it up like little sponges. She also enjoyed playing t-ball, soccer, ballet and jazz dancing, piano lessons, performing in recitals, downhill skiing and cross-country skiing as a young girl. Eventually downhill skiing took precedence and the whole family became involved in the Nancy Greene Ski League until the age of 12, and then in the Prince George Alpine Club. 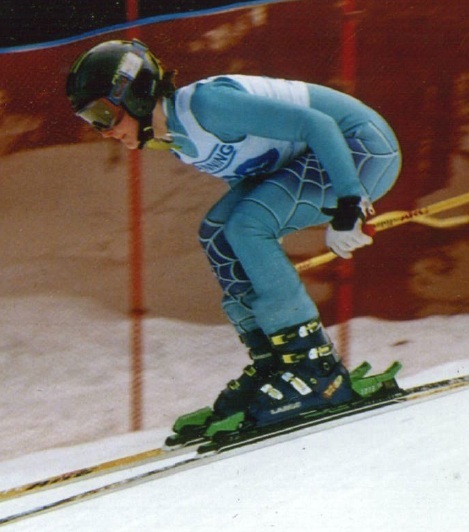 She loved taking part in the ski competitions and soon developed into a lovely and competent racer. She had a tremendous work ethic and was motivated to succeed. Unfortunately, she experienced a number of ski injuries and when she was 14, suffered a lacerated spleen from an incomplete fracture of one of her ribs. 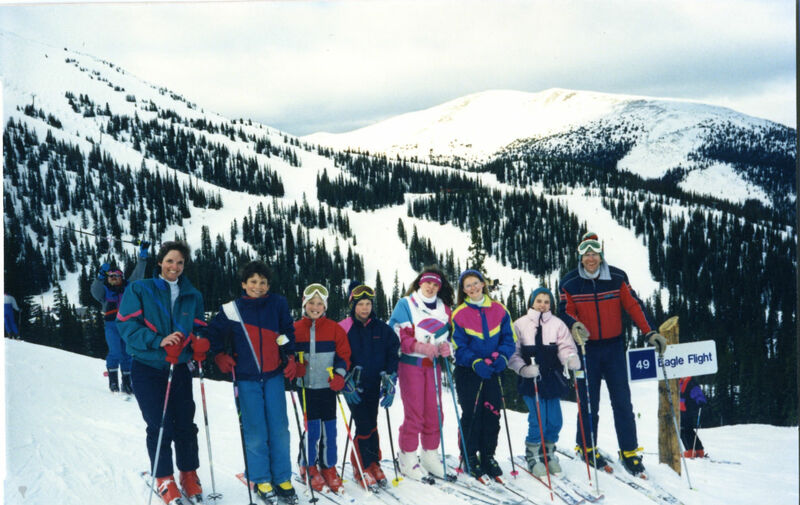 That was one of the first demonstrations of how incredibly stoic this young girl was – she continued to ski (and fall) for 3 days after, before competent medical attention diagnosed the injury. She was very lucky that she even survived! When she was 17, she suffered 3 concussions within 8 months, one of them in New Zealand. Her mother pulled her off the ski team, in spite of the lack of medical support for this. Andrea was so very disappointed – she was not yet finished in all that she wanted to achieve. 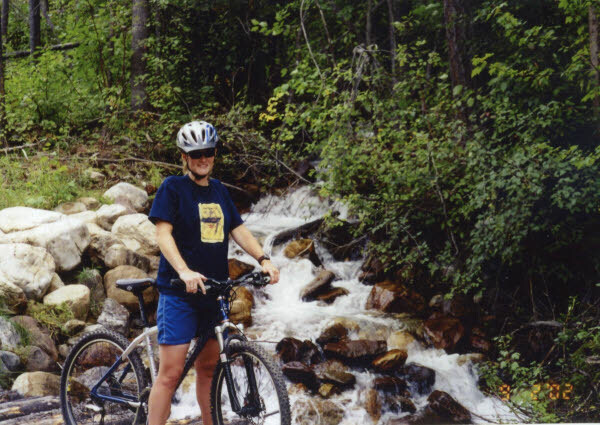 Besides these activities, Andrea loved the opportunities to travel, be it vacationing with Mom, Dad and Brother on Vancouver Island, the Kootneys, the Okanagan, Northern B.C. across Canada as far as Nova Scotia, or traveling on a school cruise trip with classmates to England, Greece, Turkey, Egypt and Israel. Our family hosted a Japanese exchange student, Ari, while living in Fort St. James and Andrea was able to travel to Tokyo to stay for a month with Ari’s family the following year. She also traveled to Australia on vacation and Mexico for a work experience after graduating from University. After graduating from grade 12, Andrea volunteered with Youth Challenge International. The first challenge was to attend an introduction and training seminar in the Vancouver area. She was 19 and one of the youngest. She loved it. She had 2 choices of countries to volunteer in – Guyana or Costa Rica. She chose Costa Rica. The next challenge was to raise $4,000 for expenses. 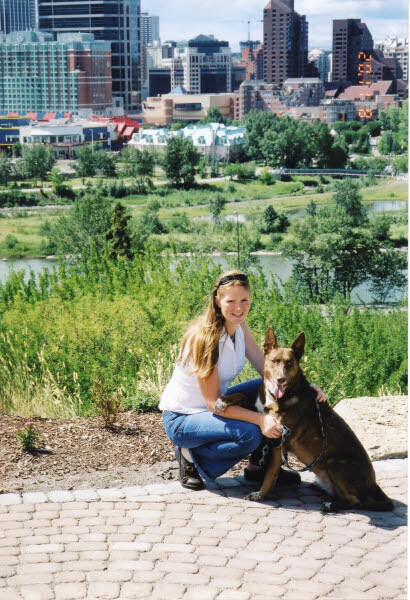 She raised $4,200 by house-sitting, dog-sitting, building fences, shoveling gravel, cleaning houses, doing presentations to businesses about the project – anything and everything was her motto and boy, did she work hard! In Costa Rica she worked in the rainforest repairing footpaths and bridges and in the villages helping with vegetable gardens and teaching children. When she returned from there, it was clear that her experience had a tremendous impact on her. She really valued the simple life of the native Costa Ricans – few possessions but family and friends were highly valued. This was how she was to live the rest of her life. Her belief was to work hard, live simply. She got her mother into recycling right away (there was no choice in the matter!). She also was speaking and writing Spanish very well by the time she got home. The next four years she took Spanish along with her science/math courses, and graduated with a degree of Bachelor of Science with First Class Honours and Industrial Internship Program. 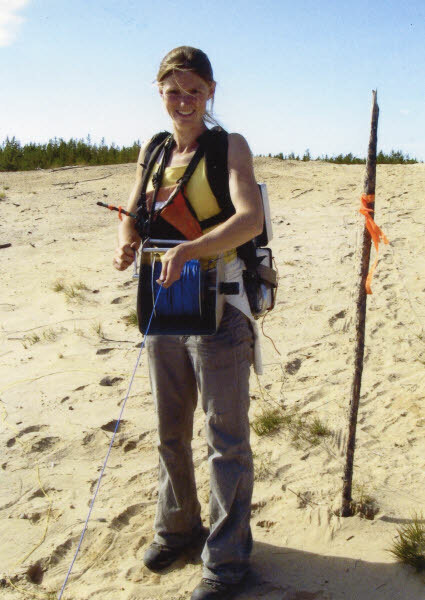 She was also awarded the Gold Medal from the Association of Professional Engineers, Geologists, and Geophysicists of Alberta. She graduated in 2004. Besides sciences and languages, Andrea had a talent with the written word. She enjoyed writing letters to friends and family and both of her grandmothers loved to receive her creative letters. Her way with words was pretty remarkable and there was plenty of humorous imagery to entertain every single one of us! Writing was a great way for her to express herself and she seemed to find that much easier to do than verbal expression. She had a wonderfully wicked sense of humour and you could tell by the glint in her eye that something was about to happen! Cooking and baking was a favourite thing to do and there are many of us who have her written critiques on the pages of recipes she tried. At University Andrea volunteered with the ski club there, being their treasurer and attending dry land training with them. She assured us that she wasn’t competing, just helping out! 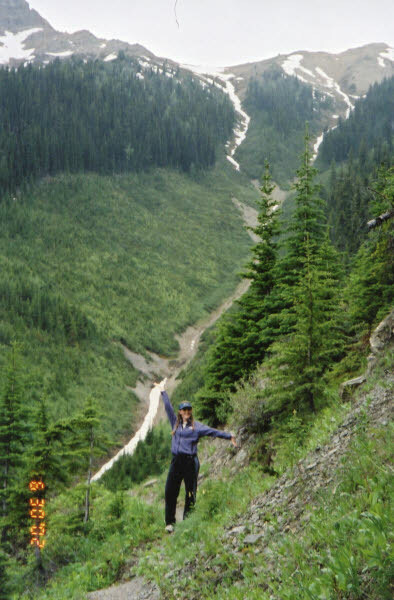 Eventually, she would go on to volunteer on a yearly basis at the World Cup Downhill races held in Lake Louise, Alberta. She would volunteer in any capacity they needed and often it was as a course worker. The last 6 years in particular have not been easy for Andrea. Even in her first few years of University, she was experiencing memory and concentration problems. She mentioned it, but it didn’t seem to be a concern for her. She appeared happy, healthy, active and doing well in her studies. 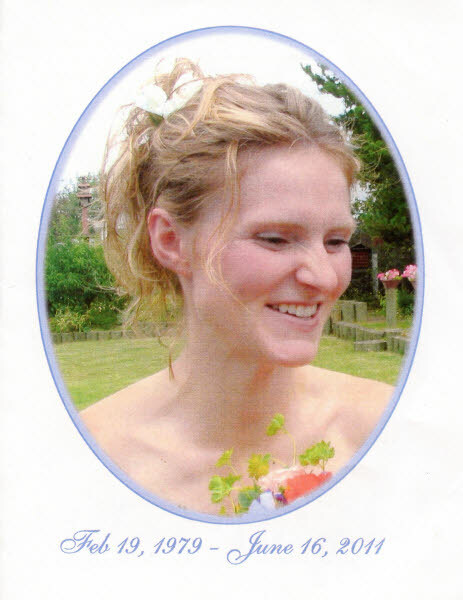 She kept in close contact with her family and friends and life appeared to be progressing well. 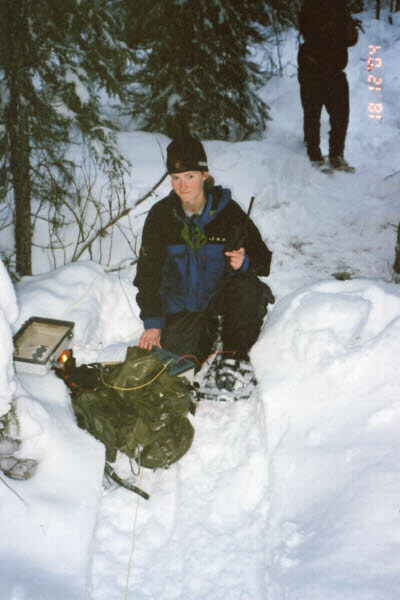 Her first job was with a Geophysics firm out of Vancouver and she worked for them until life changed dramatically. Fieldwork took her to Northern B.C. : Northern Alberta, Northern Manitoba and Northern Saskatchewan. She also worked in Newfoundland and Mexico. She was in charge of a crew investigating sources of uranium, copper, and gold. It was outdoor work and she enjoyed it. She was also able to have her faithful dog Suki with her. As her work years went on, the work became more and more time consuming and sometimes she would be out in camp for 60-90 days. Memory loss and concentration problems worsened and she was taking longer and longer to get the work done. We, as her family didn’t always know about this but we began to see her worsening struggles first-hand about 6 years ago. She appeared depressed, even “shell-shocked,” and after much insistence she agreed to medical assessment. She was not receptive to receiving the treatment offered. It was to be a very roller-coaster type of experience for her, and on the good days, she was optimistic she could just somehow manage on her own. Besides, she was a problem solver – surely she could find a way through this! In early 2008 she had to be hospitalized and although initially she was resistant to care, she soon realized that her illness was far beyond her ability to solve. What was expected to be a short term stay ended up being 4 months with several unusual symptoms emerging, along with a few crisis that very serious in nature. Suffice to say, she had been in and out of hospitals since 2008, trying so very, very hard to fight the depression, the ever-increasing problems with memory and concentration, the development of hallucinations and the lack of energy. She was diagnosed with a seizure disorder in 2008 but she was unwilling and unable to tolerate the side effects of the medication. Her immediate family as well as other family members and friends did everything they could to support her and she did her very best to accept their help and try to figure out herself what was happening to her. Despite these enormous difficulties, she managed over the last years to go on a road trip and reconnect with friends and family, as there were times that she wouldn’t or couldn’t communicate as her symptoms fluctuated. She volunteered at the 2010 Winter Olympics at the downhill at Whistler and also at the Lake Louise downhill in November 2010. Some how, she managed to apply for and be accepted by 3 different professors to do her Masters of Geophysics. She started the program at the University of Alberta in September 2010 and oh, how she loved being back at school! However, by December she was in very poor health and ended up in hospital again. She stayed for 6 weeks and after only a few weeks following her discharge, had to be readmitted in February 2011. 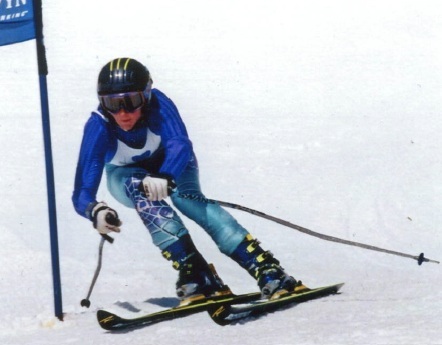 It was then that she learned that she had temporal lobe epilepsy that was a result of those concussions she had received while ski racing. A large piece of the puzzle finally fell into place. Sadly, despite new medications, the best efforts of her doctors, and her own motivation we could all see a serious decline as her symptoms worsened. Convinced that further medical intervention had little to offer, that she was a burden to her family, a source of stress and strain to her friends, and inadequate in her academic pursuits, she could see a future that was simply not acceptable to her. She carried a burden beyond our understanding. It had taken a huge reserve of love and strength to even get this far, and right until the end, our wonderful, beautiful, daughter and sister demonstrated her loving care and respect for her family, her friends and her peers. She was considerate and thoughtful towards others always and generous with her love and fun-loving spirit. She lived life on her own terms. We are proud of her for all that she was, she will never be forgotten and we will miss her so very much. We have been brought to our knees with the grief of losing our beloved girl and we are consoled by the knowledge that she suffers no more. We are humbled at the outpouring of love and support from all of you and uplifted to know that she has touched so many lives. You are braver, than you believe, stronger than you seem, and smarter than you think. May our hearts be lifted with the memory of Andrea each time we see a fleeting butterfly.